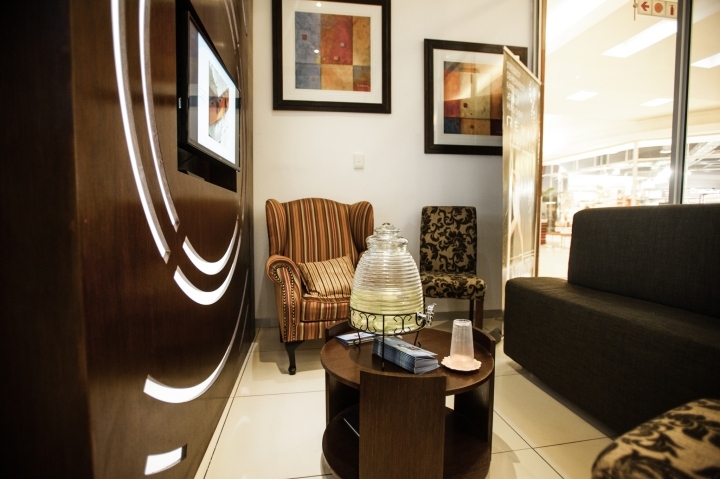 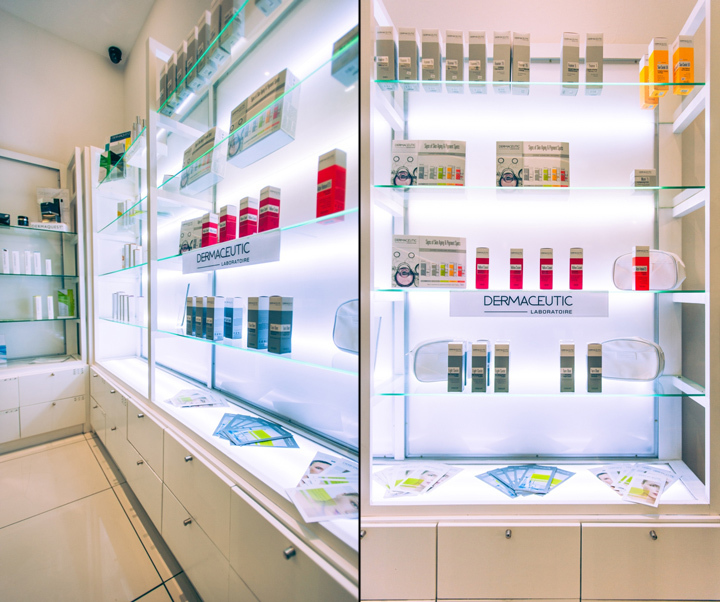 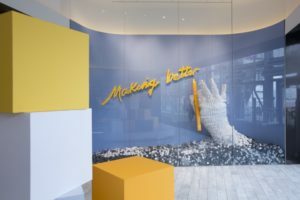 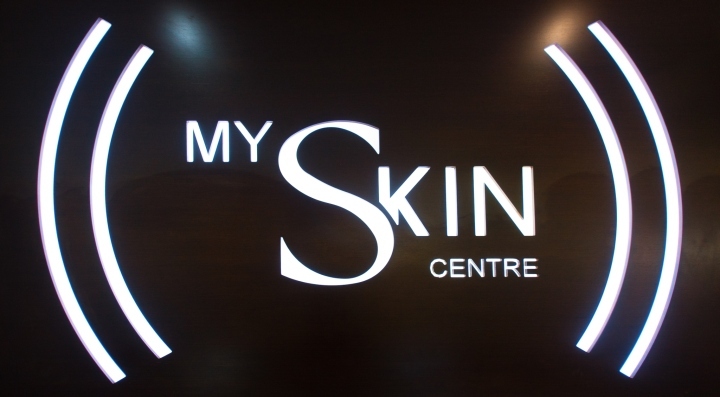 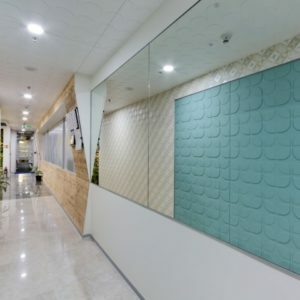 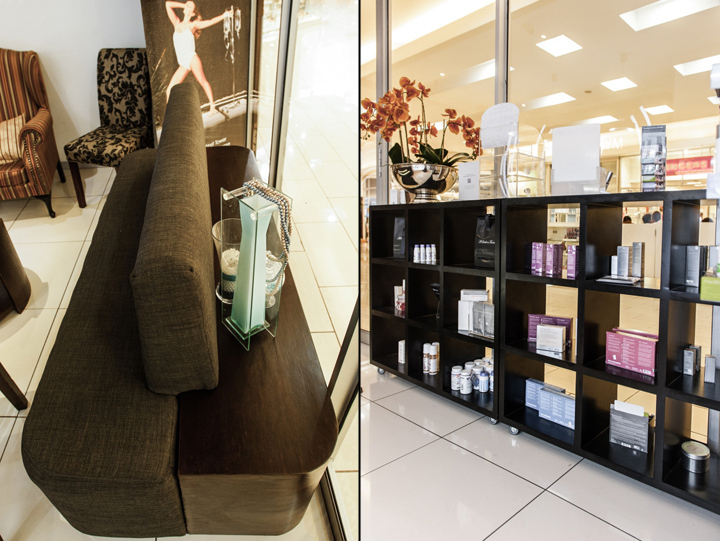 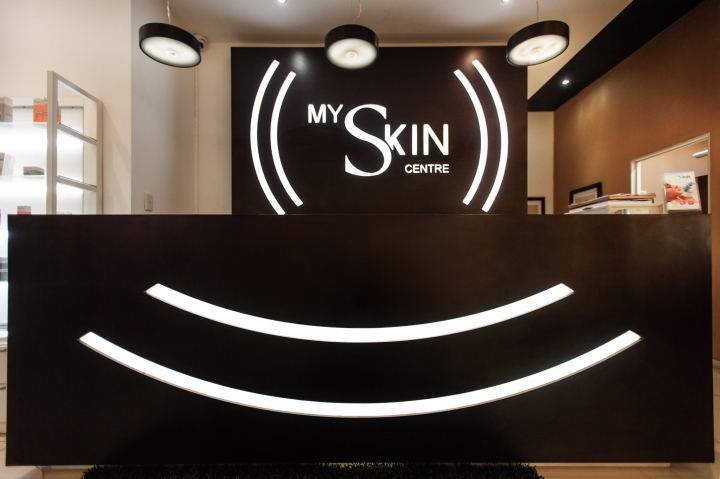 Creative Shop Retail Shopfitting designed and fitted-out the interior for the upmarket beauty salon, My Skin Centre, in Johannesburg, South Africa. 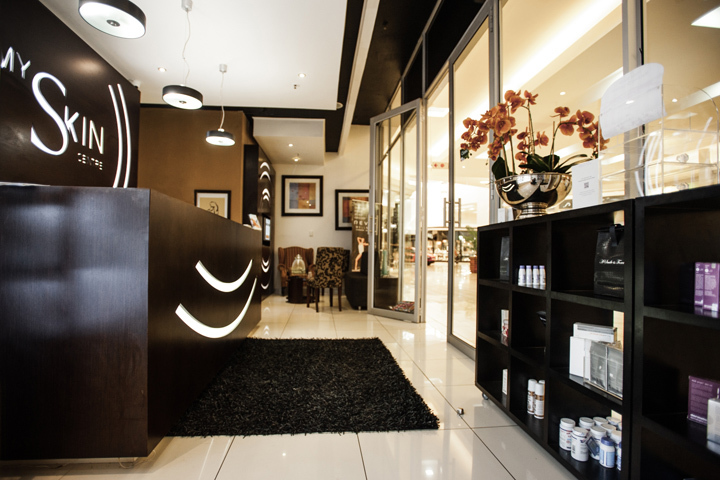 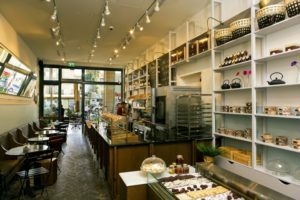 The salon offers aesthetic treatments to a celebrity clientele and also runs a retail store from the front of the shop. 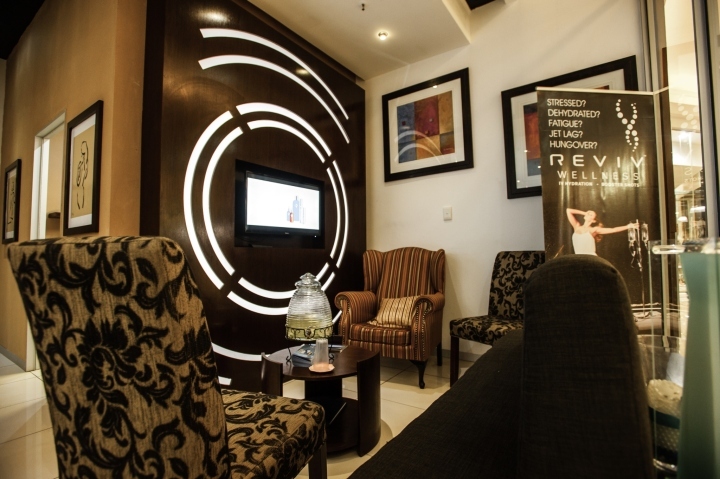 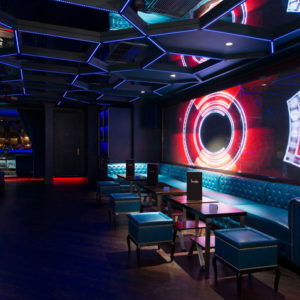 As such, the interior design needed to differentiate between the discreet private treatment rooms and the busy reception and retail area. 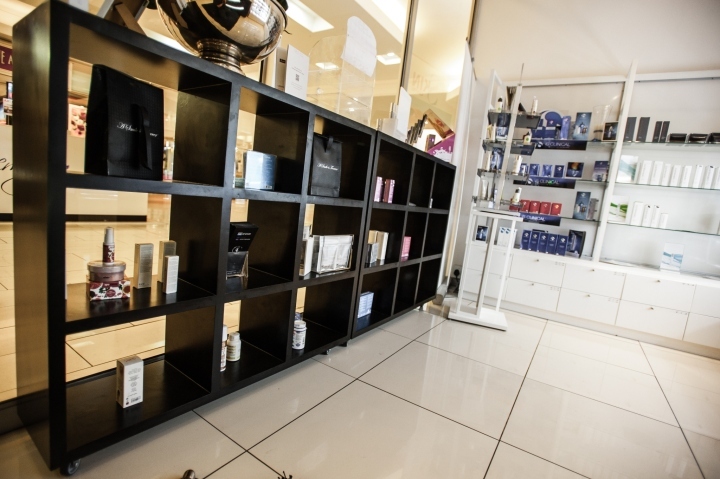 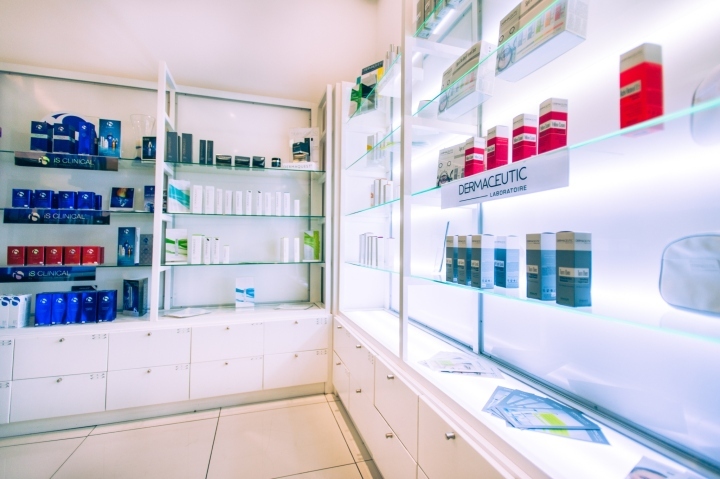 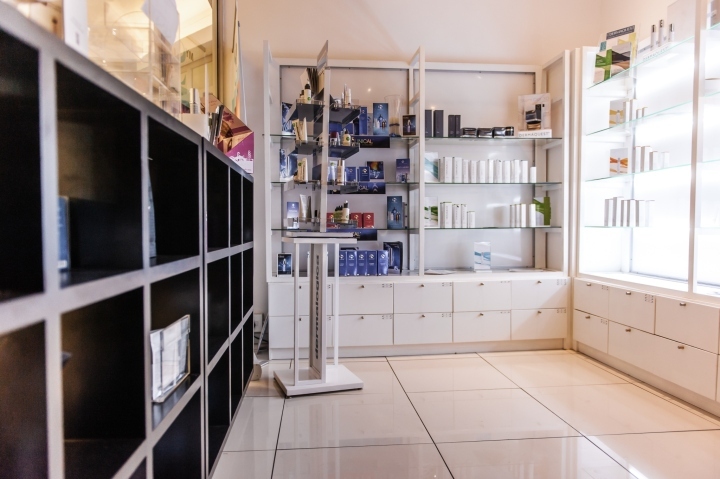 The end design achieved this separation by fitting-out the retail area in crisp, brightly lit white Duco and glass shelving displays to contrast with the dark colour scheme used for the salon itself. 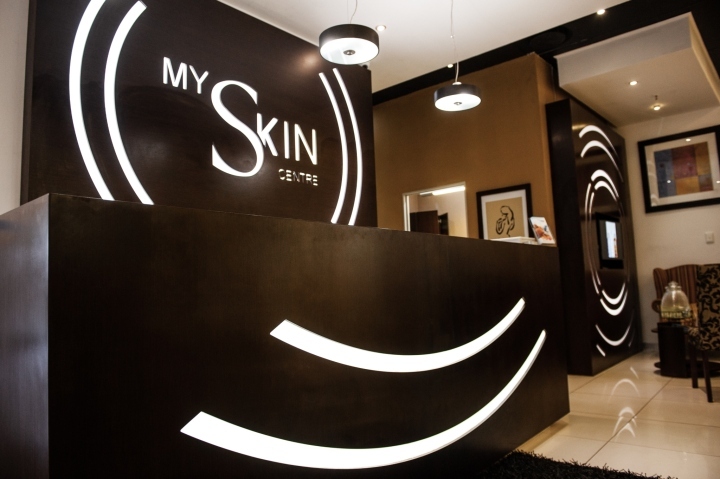 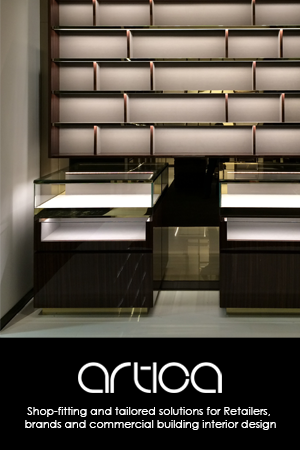 The solid black reception counter, with its custom CNC cut-out branded lighting display, serves as both the focal point for the salon design and as the division between the shop and the salon facilities. 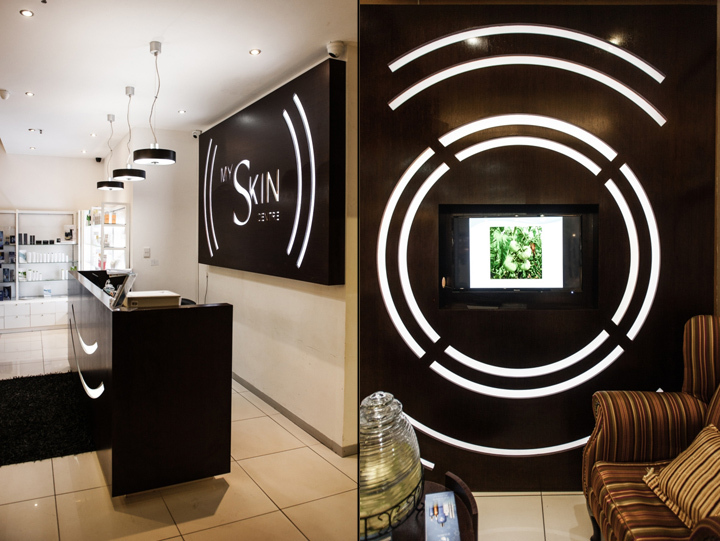 Creative Shop finished the treatment rooms themselves in warm wenge wood, brown-tone wallpaper and rich textured damask upholstery, to give a intimate feel to the otherwise monochrome design of the shopfront. 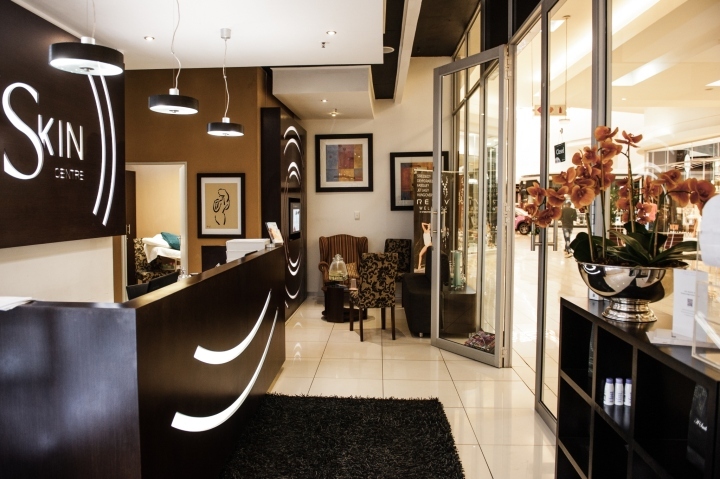 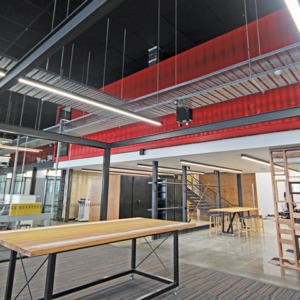 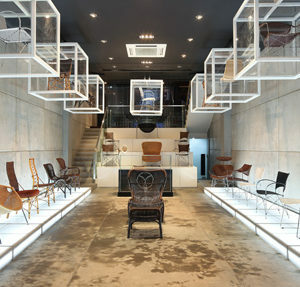 The overall impression of the salon design is understated opulence.